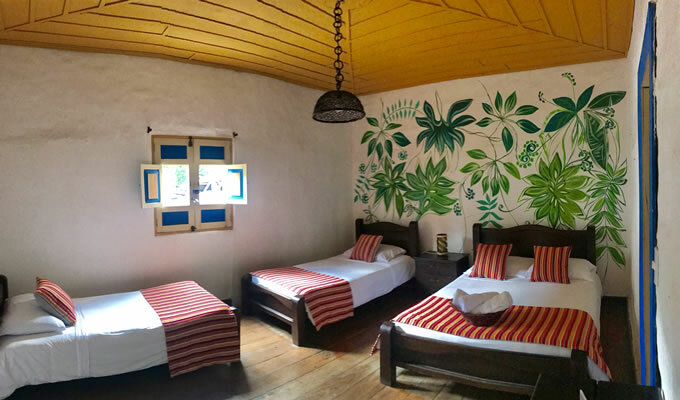 A quad room accommodates up to 4 people again with a combination of beds and roll-aways. Located 300 metres from Salento’s main square. 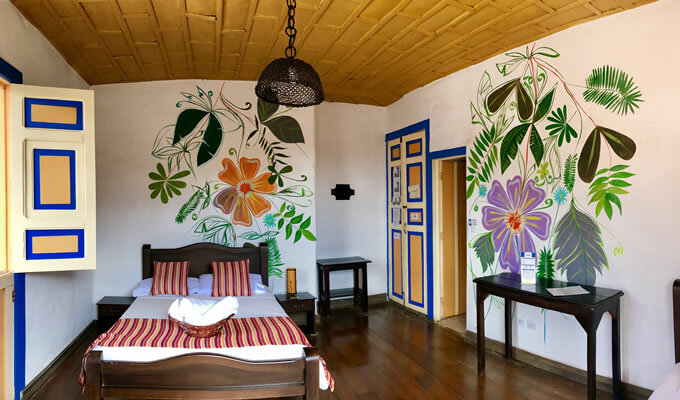 the renovated house is over 100 years old and its built in the traditional Paisa Style. 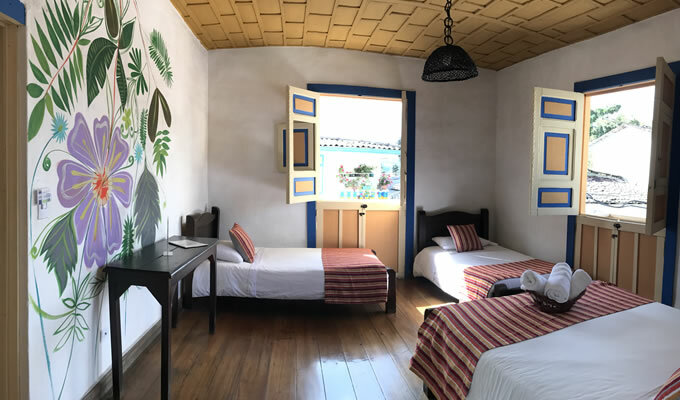 The hostels eight rooms have high wooden ceilings with gorgeous original original geometri designs and small balconies. Peaceful and spacious seating areas especially suiting those looking for tranquility amidst unbelievable landscapes and friendly people. 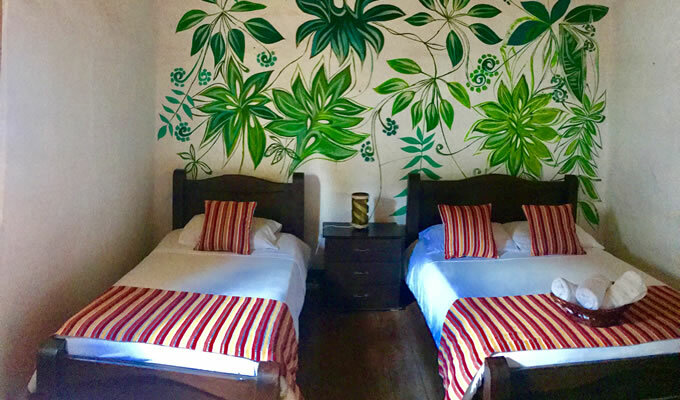 Our Quadruple room with one queen bed and 2 single beds in Hostal Ciudad de Segorbe feature ensuite bathrooms with 24/7 hot water, ideal for families and friends.